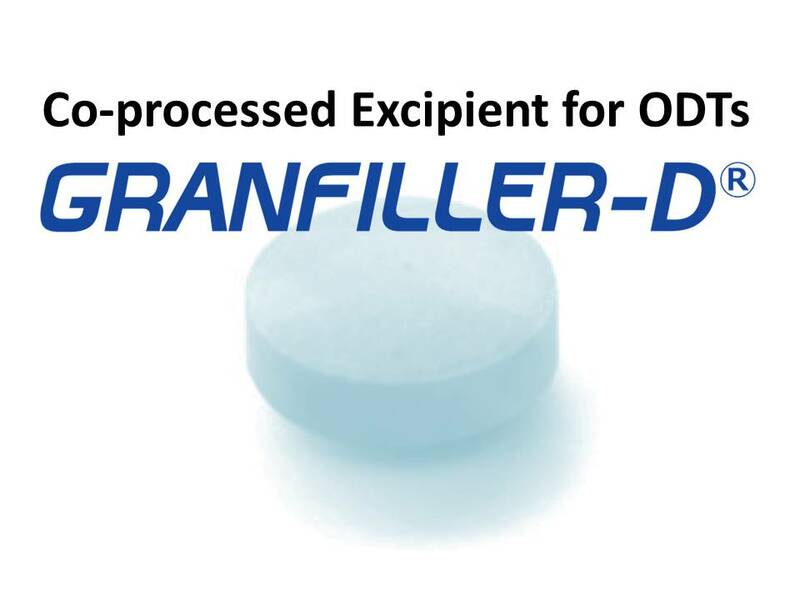 GRANFILLER-D is state-of-the-art co-processed excipient for pharmaceutical orally disintegrating tablets (ODTs). It was originally designed to achieve compatibility between high tablet hardness and rapid disintegration in the direct compression method of tablet production. BENEFITS and STRENGTHS : High performance due to sophisticated co-processed formulation. Simple manufacturing process. No need for special equipment. REGULATORY STATUS: GRANFILLER-D is composed of D-mannitol, microcrystalline cellulose, carmellose and crospovidone. All components are listed on JP, USP and EP. Both GNF-D211 and GNF-D215 are listed on JPE2018. GNF-D211 is listed on US-DMF and GNF-D215 will be listed next. Your message will be sent directly to Daicel Corporation and will be answered at their discretion.